7" Running 6 2 7"/17"
Notes: Uncomfortable on anything not in direct contact with the ground, i.e. buildings with crawl spaces, floors above ground level, riding in a car etc. Notes: This power could be used to destroy an entire city and is the power Mikey dreads the very thought of using. Notes: With this power Mike is able to touch a building or structure and subject it a limited earthquake. Notes: This power causes the ground to shift and roll under foot, slowing movement. Notes: This power will create a ripple in the earth that will push anything in its area of effect away from the user. This includes not only people but anything not tied down, like cars. Notes: This power causes a sudden uptrust of pavement, sidewalk, stone, etc. from the earth. Notes: This power causes a wall to rise up that is constructed of whatever material consistant with the surrounding terrain. This will damage/destroy such things a sidewalks and roadways. Notes: This power causes a wall to rise up that is constructed of whatever material consistant with the surrounding terrain. The wall created can be anywhere from eight kilometer in length at 125 meters height to a kilometer in height if length is kept to a kilometer or less. Notes: The purpose of this power is to reduce or even prevent damage from an earthquake. It will effectively reinforce any object anchored into the ground such as buildings or trees, i.e. anything with a foundation or root structure. Notes: This power is used to lessen the severity of natural eaarthquakes. Notes: This sense allows Mikey to fairly accurately predict earthquakes just about anywhere on the planet. Notes: Mikey is able to sense even slight vibrations and can sense things like movement inside a closed room, or an invisible target just walking. This is accurate enough to allow him to target the origin of such vibrations. Notes: When used, this power does minor damage along the travel path such as cracks in roads/sidewalks or ripples in open ground. If used indoors, structural damage may occur. Mikey is a good looking kid with dark brown hair and hazel eyes of an average height and weight for his age. He passion for baseball has made him physically fit with extraordinary stamina. While he does love his ball cap, he is polite and will remove it indoors automatically as he comes through a door. He prefers sneakers, loose fitting jeans and will generally where a pin-stiped baseball shirt. Like his classmate, Ave, Mikey is one of the more dangerous of the Minuteman. In his case, rather than causing a 25 mile long tsunami, Mikey can create an earthquake with a 60 kilometer radius capable of destroying most anything out to ten kilometers. This, he knows would kill a lot of people. He can concentrate all this power into a smaller area, like a single building, but there isn't much call for that unless he gets into the demolition business. On the other hand, he can also create a wall 20 meter long and 8 meters high to protect people. On a far larger scale he can also raise up an earthen dam as long as 8 kilometers or a shorter one as high as a kilometer. Nat has suggested to Miller that Mikey might be stationed near the Orville Dam in California the next time it is in danger of overtopping. On a far smaller scale, with a thought, Mikey can cause the earth to tremble, making it difficult to walk, or 'escape' pursuit. He can cause a column of earth to trust up suddenly at a target or he can cause a ripple in the earth to push his targets away from him. Using a modification of this power he can cause such a ripple to lift him and propel him at a speed of about 30 mph. A more mundane ability is that he can sense minute vibrations through the ground accurately enough to target itsw source. The one power the Government is most interested in though is his ablitiy to sense an impending earthquake. His sense can extend over the whole planet, however, the further away, the lower the chances of him noticing. His predictive powers are also limited by the amount of time before an event. This means his flashes of insight will usually indicate an emminent earthquake. Anything more than a month out is impossible and to this point, the longest warning he has been able to offer has been 20 minutes. Mikey loves baseball ... watching, playing, talking, doesn't matter, and having been part of one ball team or another since he was four has given him a strong sense of team. He doesn't like to talk about is his powers. To be honest, they scare the crap out of him. He is capable of causing an earthquake that could portentially destroy an entire city and kill millions. On the up side he has also been successful in predicting an earthquakes before they happened. This excited the government more than any other power any meta has displayed. The idea of having an accurate early warning system could save millions of lives. It is this that Mikey prefers to think about. 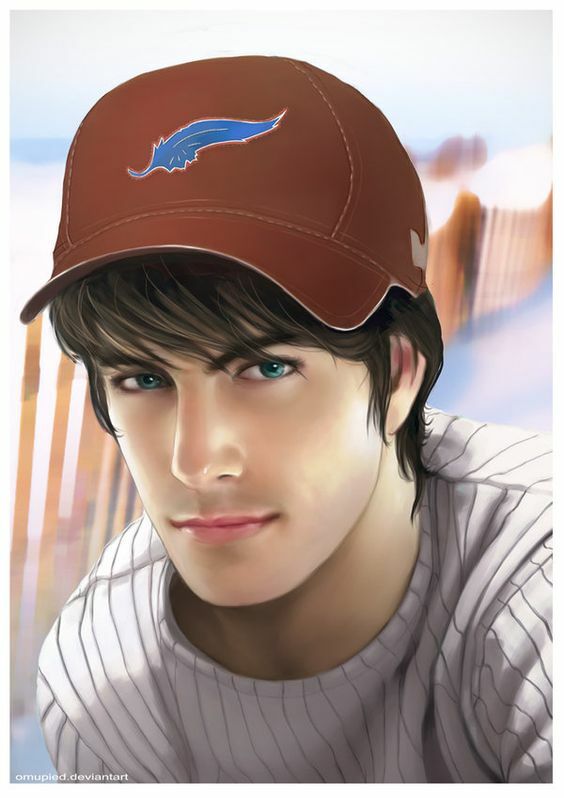 Mikey is a friendly guy capable of fitting inwith any 'jock' crown but is also aware that not everybody loves baseball so he is perfectly capable of shutting up about the subject. He is quick to support his teammates but is not a blind follower. He secretly believes that baseball can solve a great many of life's problems. Mikey is a nice kid with super-scary powers. Mikey started out at about 300 points but as I built and rebuilt him, the total grew as I discovered new ways to use his powers.